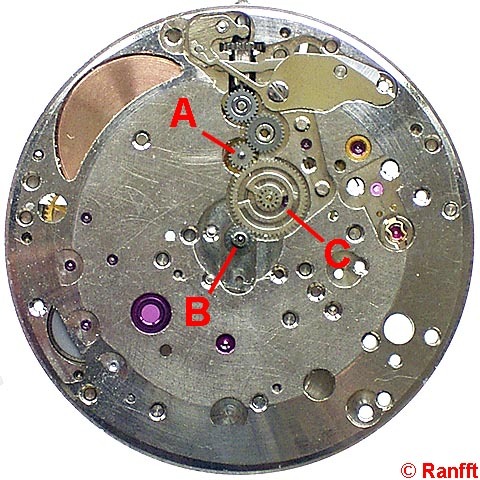 Details in Fig.4: The coupling between excentric cannon pinion A and free-running center pinion B is made free from play by pressing the hour wheel C against both. 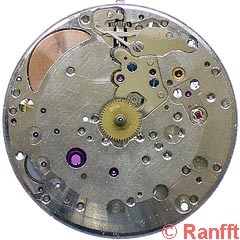 For this purpose the hour wheel usually runs in an oval hole and is pressed by a spring. 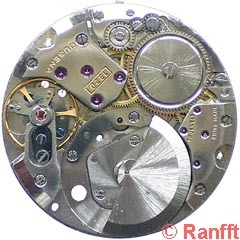 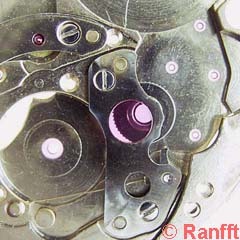 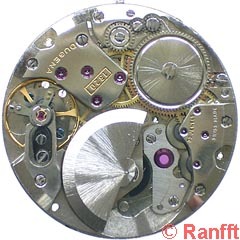 Here the spring is integrated into wheel C. This means a precise bearing and requires less heigth.